James Kay Architects work in all aspects of design and construction but specialise in new build residential and the remodelling of existing buildings. We have many years of experience working on refurbishments of residential and mix-use buildings, both listed and unlisted, in and around Central London and the Home counties for a variety of developers and many private one-off clients. We are a London architectural RIBA Chartered Practice offering practical, hands-on experience with a creative design flair. Our main focus is turning ordinary places into amazing spaces. We spend a great deal of time with our clients trying to understand their vision and discussing how we can translate that into beautiful, yet practical spaces. 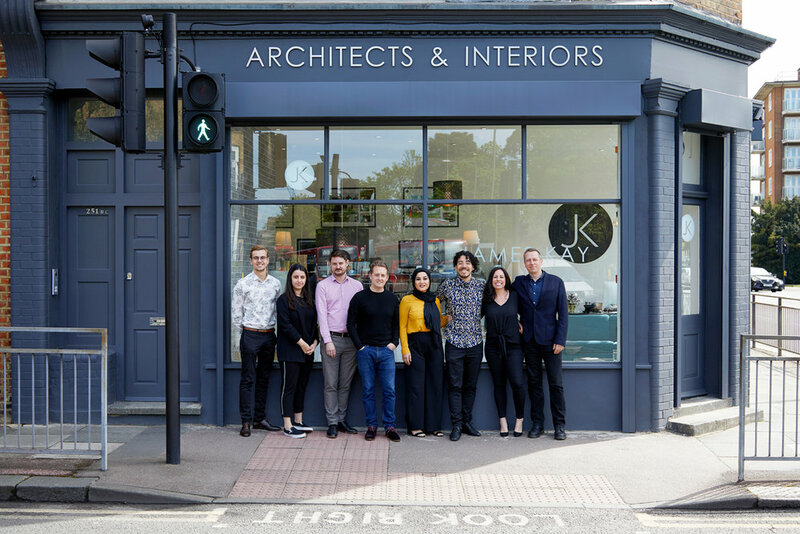 James Kay Architects is an award winning architectural practice and has worked on and completed numerous projects with a variety of specifications and varying stages of works. We have a vast experience of preparing drawings for planning, building regulations, tender and construction detailing. James Kay Architects LTD. is a RIBA (Royal Institue of British Architects) Chartered Practice.